Buy online our clothing and fashion fabric Organza Geometrico Coupè —-02. 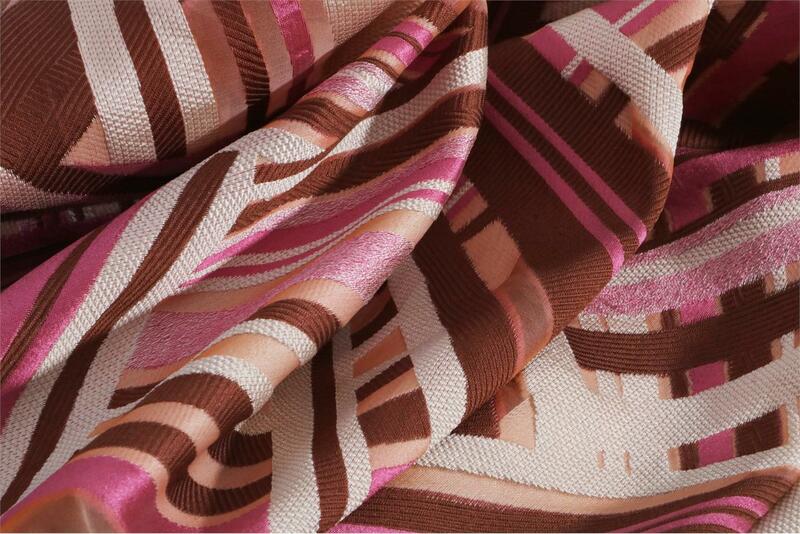 Jacquard organza fabric with cloqué processing and geometric pattern in shades of pink. For dresses, blouses or dusters. Beige, Brown, Pink Mixed Ethnic Jacquard fabric for Dress, Party dress, Shirt.